isee’s consulting and training partner, the Whole Systems Partnership, recently launched the WSP systems modelling learning network . Developed for modelers in health and social care systems, this online network supports folks interested in learning how to use system dynamics modeling in their work. 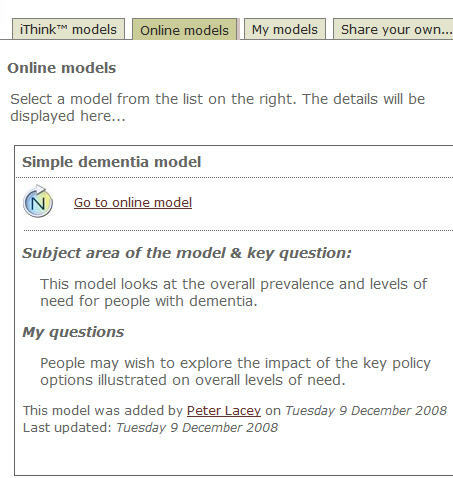 The learning network is a great example of how isee NetSim software can be used to support online learning and sharing of iThink and STELLA models over the web.